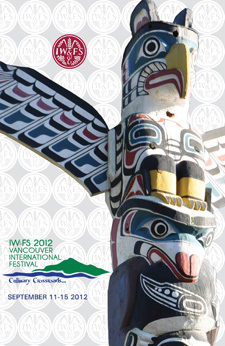 After three years of planning, Vancouver welcomed over 200 international members of the IW&FS to the 2012 Festival in gloriously sunny September weather. The diverse programme included opportunities to experience the city and its scenic beauty as well as fine food and excellent wines. Our local members were able to enjoy several of the events and to meet members from around the world.